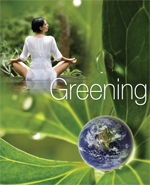 Greening Your Spa | Spa Inc.
Making your spa an environmental champion is as easy as changing a light bulb. As the population of our planet balloons beyond seven billion this year, resources we take for granted become scarce and careful management of what remains is critical. Whether your spa is a behemoth with 50 or more staff, or a one-person boutique, there are opportunities to change the way you consume, and ultimately to lead the green charge. Peter Brabeck, chairman of the Nestle Company, believes we will run out of water before we run out of oil. The Government of Ontario says global demand for water will outstrip supply by 40 per cent in less than 20 years. A newly green-oriented spa has to start somewhere and, according to Roberto Arjona, CEO of Rancho la Puerta, North America’s first destination spa, it should be at the first trickle of water. At Rancho la Puerta, drip irrigation systems, rather than sprinklers, deliver specific quantities of water to individual plants in the outdoor gardens. To limit the need for water from external sources, the gardens house drought-hardy plants, those native to the region and from similar global ecosystems. Water the gardens do require comes from an on-site waste treatment facility that captures grey water—used in spa treatments. Grey water from a cluster of guest cottages is captured in a biological marsh and recycled through a creek running through the site. Mulch appears extensively throughout the resort gardens to minimize evaporation. Composting toilets and waterless urinals are used wherever possible to further limit water consumption. Otherwise, the spa uses low-flow toilets (and showers), as well as Energy Star certified appliances. Rancho la Puerta also encourages clients to bring their own refillable water bottles. Another member of the Green Spa Network, Osmosis Day Spa recently completed the first county-approved wetlands project for non-agriculture use in Sonoma County, California. This included the construction of a wetlands ecosystem to work in tandem with the grey water recycling system. According to Osmosis, this will save nearly 1,000 gallons of water per day by recycling sink and shower water for underground irrigation. In this case, water conservation serves the dual purpose of supporting a local wildlife habitat. Osmosis also uses drip irrigation in outdoor gardens and solar panels on the roof to heat water. Hot water pipes are insulated to reduce energy wasted on water heating. Though water is at the heart of the green spa movement, it isn’t the only factor to consider. The roster of environmental elements to consider is long—including energy management, recycling, organic eating and living, and much more. 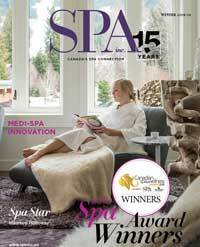 One area to consider is the products used and sold by spas. Many people have closets full of lotions and potions, just taking up space. If a spa client has a drawer full of products, Armen believes they are less likely to buy a new, organic product. Strong House Spa offers a cosmetic recycling program to all clients. 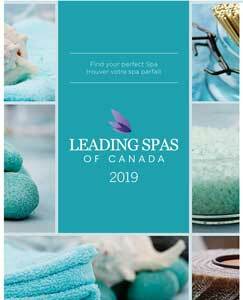 The spa will accept any container at least half-full of skin or body care product in exchange for a $5 discount on a similar, organic product from the spa. “We recycle the containers and cleanser products are used by our recycling company to wash their trucks,” says Armen. All spa products, excluding lipstick, are recycled through a hazardous waste disposal service in Vermont. Most green spa network members recommend clients bring their own robes and water bottles, to reduce laundry and waste. “To get clients to do this, offer incentives,” says Armen. Discounts or small gifts, like product samples, are often enough. There are many, tiny ways that combined do make a green impression. Rancho la Puerta uses refillable bottles for some products and compostable garbage bags in all receptacles. At Prairie Chic Spa in Manitoba, owner Dawn May prints appointment reminders on the rear of business cards in an attempt to minimize paper waste. Furthmore, when May decided Prairie Chic needed a facelift she remodeled with recycled paint, which is found at most hardware stores, and bought used furnishings from the Habitat for Humanity ReStore. Rancho la Puerta used materials from a decommissioned tennis court to build a service road for maintenance staff. For many green spas, the philosophy spills out into the community. Every year, a grassroots organization in Manitoba plans a cleanup effort in Birds Hill Provincial Park, north of Winnipeg, Manitoba. May sponsors the cleanup through the Friends of Birds Hill Park group. “The cleanup initiative has a draw and I donate a gift certificate for that,” says May. In 2009, Osmosis sponsored an event for the Ceres Community Project. The project brings teens into the kitchen to learn about growing, preparing, and eating healthy foods and has teens prepare organic meals for people fighting cancer and other life threatening illnesses. Rancho la Puerta was a founding partner of Fundacion la Puerta, an organization providing environmental, social, and educational projects including the preservation of endangered native plant and wildlife habitat within the Tecate region, on the California/Mexico border. 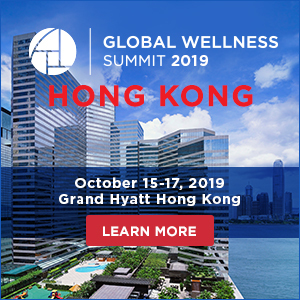 Spas, according to Armen, are a great place to capture people’s attention about sustainability, because they are already an audience seeking wellness. Some great greening projects cost a lot, while others are free. But if you embrace the challenge, you will find it is fun to be green, and your clients will appreciate it too. It can be confusing to navigate the wealth of marketing buzzwords around green projects to determine what are truly the authentic, eco-friendly lines. But in fact, there are some key criteria to consider. Environmental advocacy groups are now lobbying Health Canada to impose stricter regulations on heavy metals in cosmetics. Unfortunately, many cosmetics contain trace amounts of toxic heavy metals such as lead or mercury. Look for cosmetic lines that take extra care to ensure that the heavy metal content is low. For example, RVB cosmetics has developed a revolutionary heavy metal test that ensures heavy metal levels are below 0.0001 ppm. Siloxanes are some of the chemicals responsible for making our beauty products lather and foam, but they have been shown to contaminate our water sources and disrupt the delicate ecological balance. 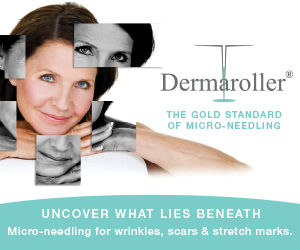 Avoid any products that use siloxanes for a truly eco-friendly line. To cite an ingredient as organic is often all consumers worry about, but even organic farming can have a devastating environmental effect if it is not done sustainably. Sustainable farming means that the product has been farmed in a way that respects the ecosystem around it. What happens when you’ve finished the product? Is the jar going to end up in a landfill or can it be recycled? And if the packaging is plastic, is it food-grade plastic or will toxins seep into the environment? Another important feature to investigate is the energy used for manufacturing. Does the manufacturer use solar, wind, or some other renewable, green energy source? Looking for a truly eco-friendly line may seem daunting, but there are some authentic lines available. Once you do a little homework, you’ll discover many terrific options available.